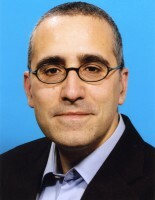 Jaume Llop-Raduà is an assyriologist. His professional career lead him to the Universitat de Barcelona, Spain and Universität Heidelberg, Germany where he was researcher in the Seminar für die Sprachen und Kulturen des Vorderen Orients. In 2012 he was awarded a Marie-Curie-Fellowship in the Institut für Altorientalistik at Freie Universität Berlin which was supported by the Gerda-Henkel-Stiftung and the European Cmmission. His research interests comprise Assyrian history and language, especially during the Late Bronze Age. At Topoi he carries out his research as a post-doctoral fellow by working in the research group (B-4-3) Migration Narratives.